Shari's projects sometimes stem from interaction with the outside world. Using humor and satire, she offers a critique on modern life. Fashion advice based on photographs of laundry. VIsit Hanging on the Line for more. 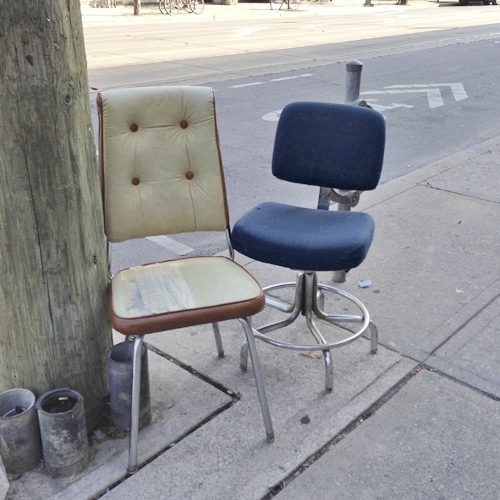 Photographs of streetside furniture are recontextualized as items from a home design catalogue. For more, visit the Outdoor Living. In 2012, after repeated sightings of a bicycle labelled Steven Spielberg, Shari wrote letters to Steven Spielberg. She documented the project on the Letters to Spielberg website.